Grew up… in a wealthy family in New York City. Though Dr. Sloan has led a seemingly charmed life, it hasn’t all been easy. His cold, distant parents gave him education and opportunity, but they weren't really there for him emotionally. Living… in Seattle. Mark moved west from New York City in order to follow his two best friends: Derek and Addison. In order to win back their friendship, Mark needs to face their complicated history. Interests… himself. Dr. Sloan is confident and narcissistic, though he may be trying to hide his true inner anguish. Challenge… winning back his best friend, Derek. Mark lost two friends when he was caught sleeping with Derek’s then-wife, Addison. 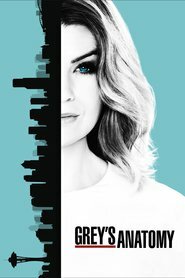 Derek left New York, followed soon after by Addison, leaving Mark alone. Now Mark has joined them in Seattle in an attempt to right his wrongs. Mark Sloan's popularity ranking on CharacTour is #1216 out of 5,000+ characters. See our top-ranked characters and read their profiles.